'The Rise of Phoenixes' is the Chinese drama that came into existence in the Netflix library almost out of the collective minds of lovers of the periodic romance genre. 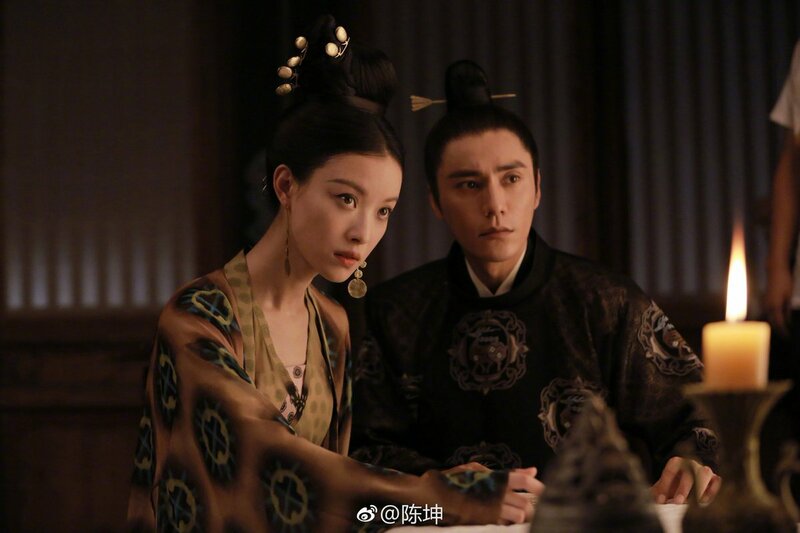 For 70 episodes, we waited patiently for Ning Yi (Chen Kun) and Feng Zhiwei (Ni Ni) to weed out their issues, power through the political disparities that separate them and find their happily ever after with each other. After all, that is what happened in 'Huang Quan', the novel by Tianxia Guiyuan on which the show is based. Shocking us all, however, the C-drama took a completely different take on the subject and separated our loved ones for good. (This is the last chance for you to turn away if you haven’t finished watching the show yet) While most fans have been distraught over the finale episode, some find comfort in knowing that Zhiwei’s death is for the good of the empire. After all, "Eradicate all evil" has always been Ning Yi’s dream as an emperor, and also to ensure that all citizens, regardless of their wealth and connection, are considered equal by the law. He makes for a brilliant leader and his idealistic traits ensure that all his loyalists are following him for the right reasons – because they have the same vision as he does for the kingdom and not for power or money. This potential utopia, however, would be prone to attacks and his right to the throne would constantly be challenged if he were to be joined by Zhiwei on the throne. Her identity as the Princess of Dacheng is public knowledge, and according to history, the Cheng Dynasty and members of Chu have been sworn enemies. They being together would have just begun an endless cycle of pain for them and for the general public whom they want to protect. In the show, Zhiwei removes herself from the scenario, while Ning Yi goes on to fulfill his dream and legacy as the fair and just emperor of the Tiansheng Kingdom. He has many duties to fulfill before joining his beloved on the other side. There is a 'Romeo and Juliet'-esque element of romance to it, but there was a way for them to be together without compromising the fate of the people. 'Huang Quan' also saw Zhiwei contemplating suicide so that Ning Yi could rule the kingdom without any distractions. However, as Ninja Reflection points out, Nanyi (Bai Jingting) and Zhiwei’s attempt to die by jumping off a palace wall had turned futile, after they both narrowly escape death. However, Zhiwei went missing, and everyone assumed the Empress of Dacheng is dead, even as Ning Yi and Nanyi continued to search for her. In the end, Ning Yi had to fake his own death to compel Zhiwei to return. He left the kingdom for his brother, the 10th prince, Ning Ji (Wang Kaiyi) to rule so that he could live out the rest of his life with Zhiwei in anonymity. This is the ending we wanted to see repeat in 'The Rise of Phoenixes' and we believe it may still be possible. According to our little birdies, an alternative ending for the Hunan Television show was shot but had not made it to any print – be it DVD or Netflix. We could suffice in seeing that version, in which Zhiwei and Ning Yi are reunited. Ideally, we would love for a full-fledged season 2, in which Zhiwei returns from the dead and along with Ning Yi decides to live and love as commoners for the rest of their lives, with Ning Yi secretly offering advice to the 10th Prince as and when he needs it.